Brad Pitt recently visited the site of his proposed hotel development in the coastal town of Zablace. The 52-year-old actor Hollywood actor is investing in a new luxury resort in Croatia called ‘Barabriga,’ complete with a hotel, villas, a golf course, restaurants and shops. The large-scale development, located in the small coastal town of Zablace, is expected to cost more than $1.5 billion and will be “a modern ecologically-responsible planned community,” People magazine states. Nikola Bašić, the architect who joined Brad on the development tour, also told Total Croatia News that the actor thinks Croatia is “the most beautiful country he has ever visited.” Bašić is known for creating Sea Organ, in Croatia’s Zadar (video below), a huge staircase sculpture that plays music created by waves as they flow through its subterranean tubes. 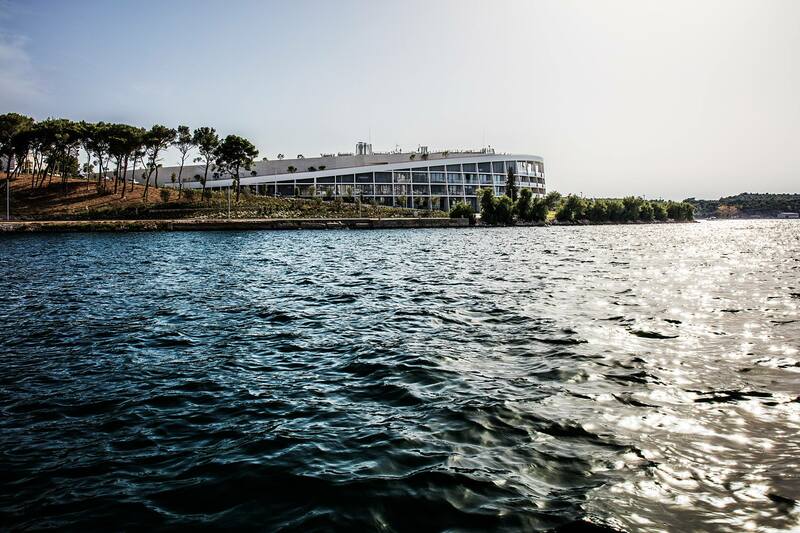 According to reports, Brad visited the St. James Cathedral in Šibenik and stayed at newly opened Bašić designed hotel D-Resort (pictured below). The actor also sailed the coastline by boat to Biograd na moru. It may be possible to stay at a Brad Pitt-owned hotel sooner than you’d think!